Full featured team and meet manager including all the features you need to manage your team and meets. Includes ability to manage multiple teams, event lists and meets. Can utilize the U.S. 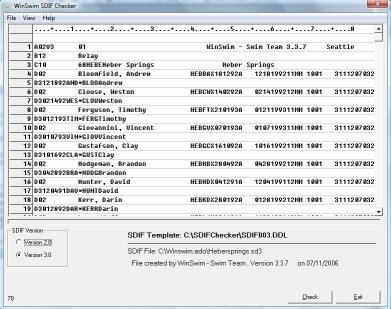 Swimming standard SDIF interchange files to interoperate meet entries and results between different swim teams and software packages. Optionally, will support Colorado Time System 5 timing consoles to capture event times directly into WinSwim. Manage the daily team workouts from an intuitive interface that allows the easy creation of activities that can be grouped into circuits. These circuits can then be assigned to either the warm-up, main or cool-down circuits for a workout. The workout can then be scheduled and team members can be assigned and tracked. So flexible that this workout manager can be used for any types for athletic activities from track, rowing, diving, tri-athletes and, of course, swimming. Utility for investigating the information stored on the Colorado Time Sports Console System 5/6. 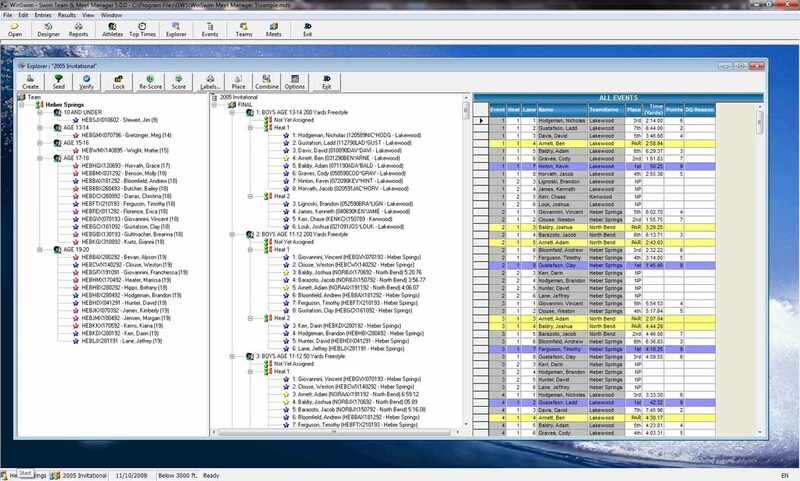 This utility will display all the meet & event information stored on the console. Allows for exporting out the events. Baffled by the format of USA Swimming software data interchange format ("SDIF")? Are you having errors in these files and not sure what's the problem? 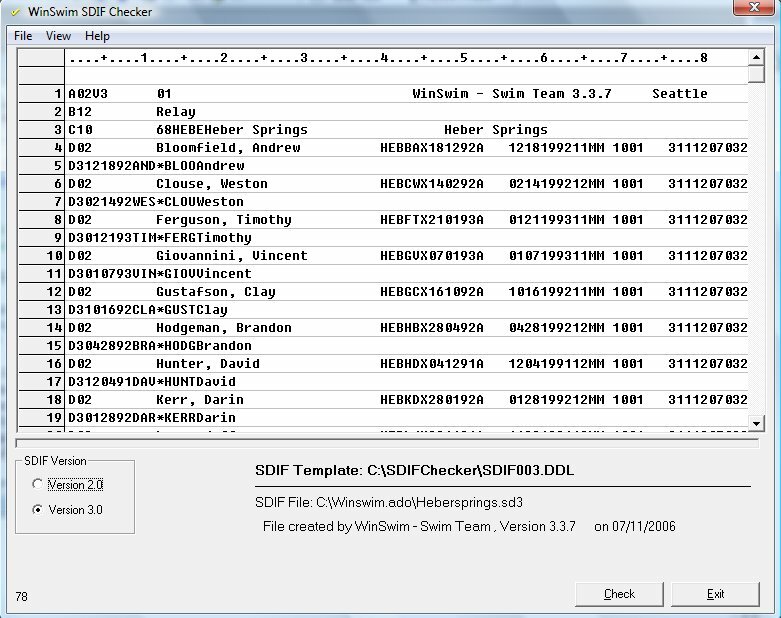 If you know what I'm talking about, hopefully most don't, than you should be interested in WinSwim SDIF Checker.